Height for Hire likes to close the loop with its transparent systems so that we can deliver a safe and efficient service to all our customers. 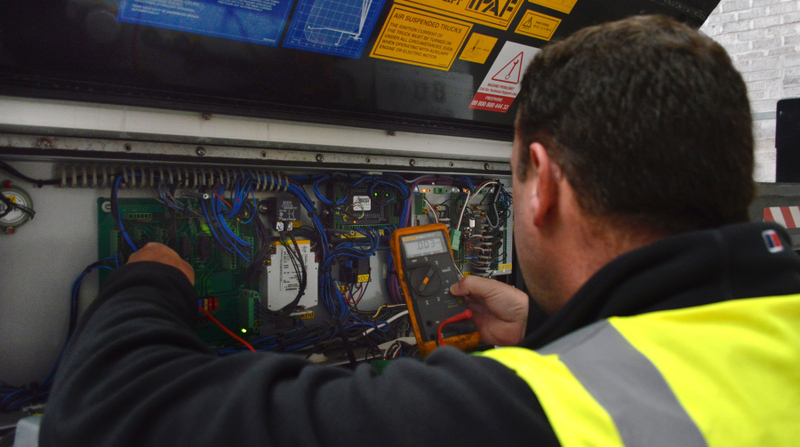 That is why we have a dedicated Technical Support team to make sure all our access machines are fully compliant before they leave the depot and hires can be supported on site. With the help of our expert service engineers and experienced technical support agents we have gathered together some useful information to help keep things right on site for you. Closing the loop How to make things work on site? 24/7 Freephone Technical Support Helpline, which means all our customers have phone support every step of their hire. 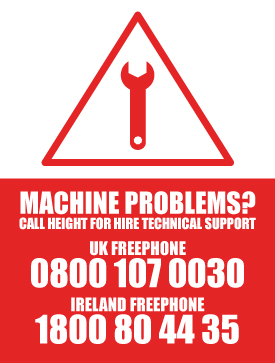 Our experienced staff are happy to talk you through any queries you may have with your machine. We find that many of the challenges you face on site can be resolved over the phone, keeping you safe and increasing your uptime. Height for Hire operates a QR code system on all its access machines. 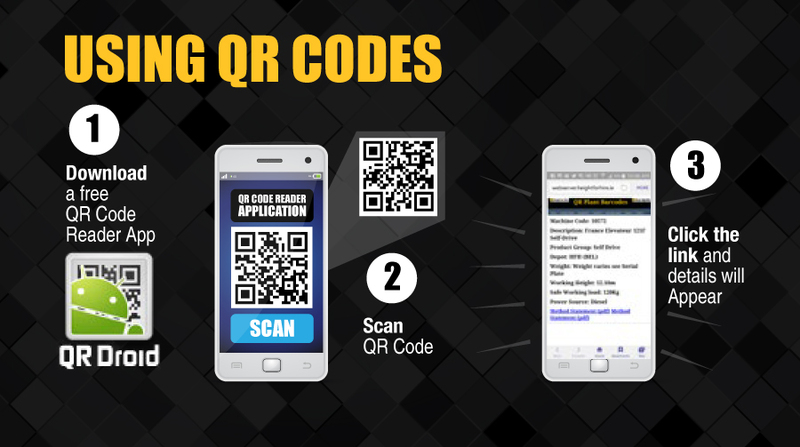 The QR Code and plant number acts as a unique identifier and can allow customers to download the Thorough Examination Safety Cert directly onto their phone within seconds, using open source software that can be downloaded for free. You can also access machine specifications, contract details and quick start guides via the QR Code. Each machine has a full history digitally recorded in a central location on an IT system built in house by the Height for Hire Technical Support and IT team which we call SRM. All Service Engineers can access this information at any time on their tablets wherever they are. This allows the Height for Hire team to make sure their machines are fully compliant before they leave the depot and the hire can be supported on site with access to all the resources available just like in the depot. 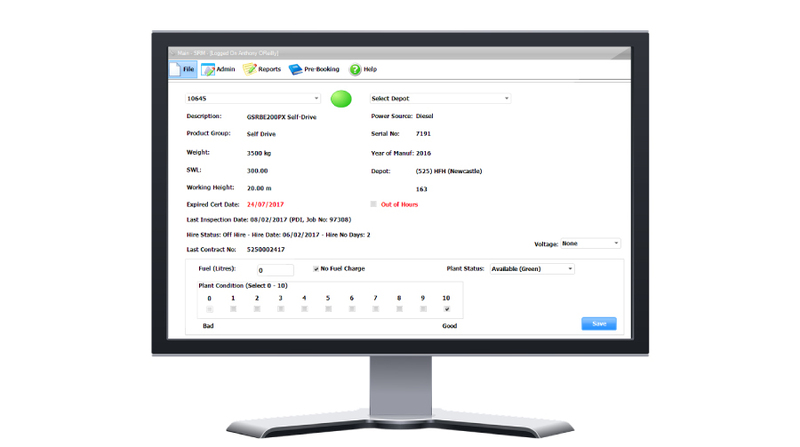 All PDIs, certification and inspections are recorded in this system and we are also able to carry out pro-active service scheduling on all our machines as per manufacturers specifications. 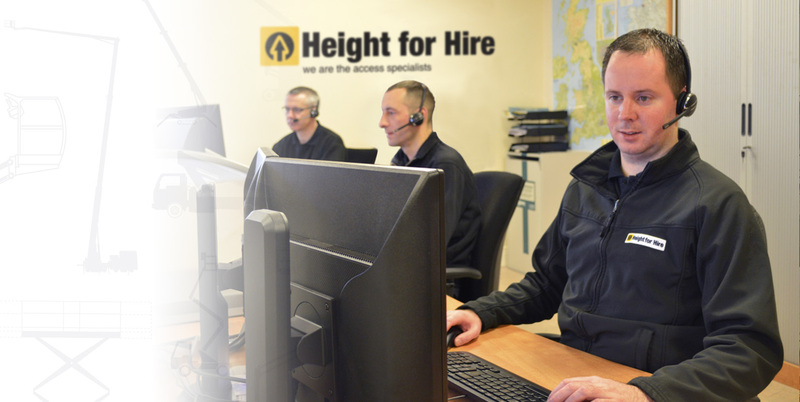 Height for Hire operates a culture of training and all their service engineers are CAP Assessed with IPAF Operator/Demonstrator status and regularly receive manufacturer training. 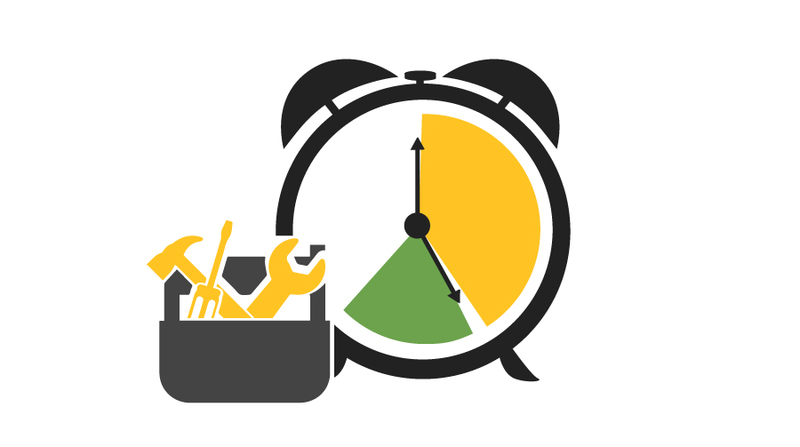 Our engineers understand the importance of your uptime. That is why they find a way to work closely with your team, building partnerships of trust to ensure the job gets done, safely. Working out of hours? In remote locations? At night? At weekends or over national holidays? Let us know and enquire with your sales representative or hire desk for a quote on booking out of hours cover to make sure you have cover back at base. How to make things work on site?